opposites. 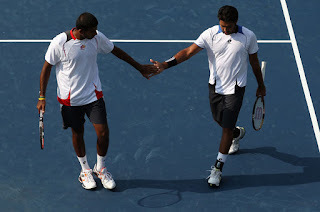 But none of that has stopped tennis stars Aisam-ul-haq Qureshi of Pakistan and Rohan Bopanna of India from achieving high levels of success in the US Open, currently being held in New York. Dosti Express (both) done a great job in final.